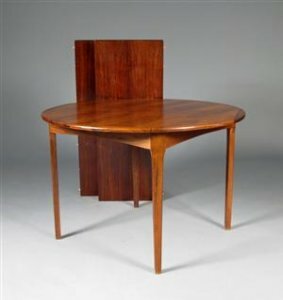 Item : Round dinner table with 2 extensions. Dimensions : Diameter 113cm. Height 74cm. Extensions 50cm.